Clouds made of fiberglass wrapped in fabrics absorb sound, reducing or eliminating unwanted reverberation. This makes them great for use in auditoriums, atriums and high ceiling lobbies, restaurants and classrooms. 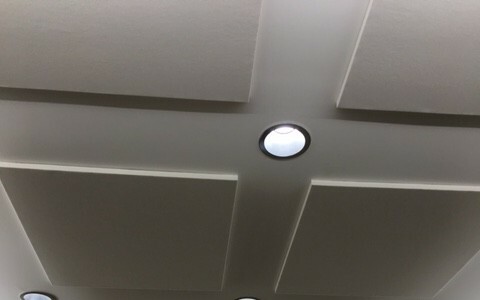 We custom fabricate your clouds to meet performance features the application requires and the aesthetic details you desire, enhancing the visual effect in a space as well as the auditory.